Scott Babcock was working at an airport in Alaska one afternoon last week, going about his day as usual, when he got a call from flight services about something blocking the runway. Not thinking much of it, he went to check it out — and found a 450-pound seal. 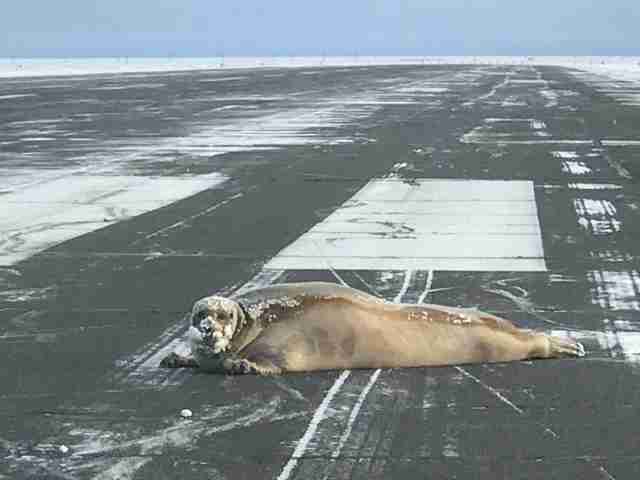 The very large seal had somehow traveled about a mile from the ocean, and decided to end his journey in the middle of the airport runway at the Wiley Post-Will Rogers Memorial Airport. 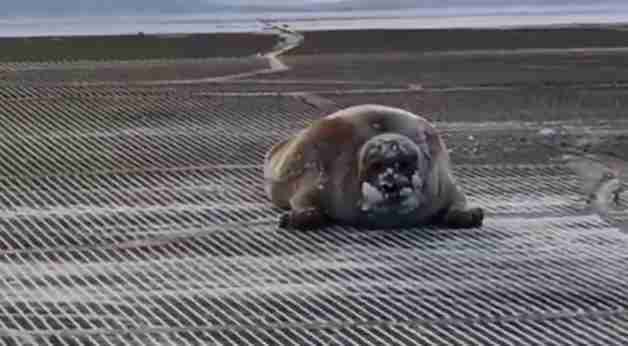 The airport workers are used to dealing with disturbances on the runway, but the sudden appearance of a huge seal definitely shocked them. “On northern runways we see birds, caribou, polar bears and musk oxen … but not usually seals,” Meadow Bailey, communications director for the Alaska Department of Transportation & Public Facilities, told The Dodo. Babcock observed the seal for a while, but the seal didn’t really seem to notice him or care that he was there. He was very comfortable on the runway, and had no intention of letting anyone scare him away from his spot. Which, apparently, includes taking naps in the middle of airport runways. Eventually, after it became clear that the seal wasn’t going anywhere, animal control was called. 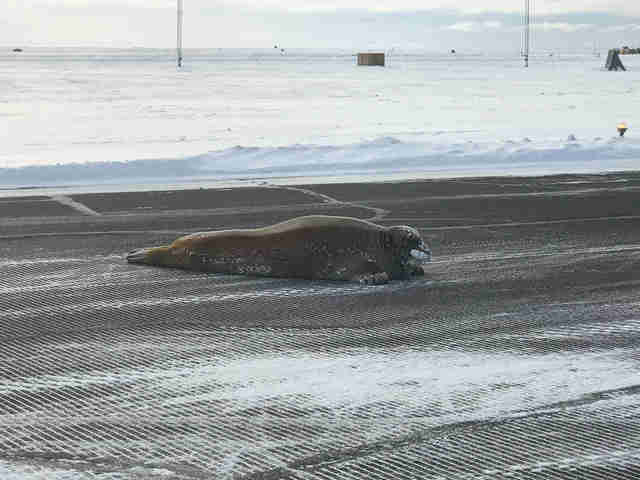 Officers were able to load the seal onto a sled and pull it safely off the runway using a snow machine, spoiling the seal’s plan to stay and nap on the runway for the rest of the day. 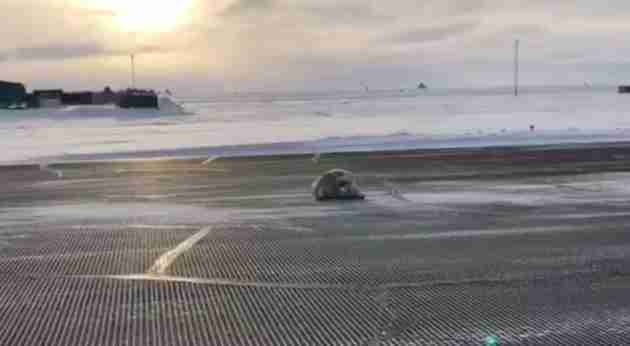 The airport takes wildlife on the runway very seriously, and luckily workers were able to help the gigantic seal before something happened — even though the seal didn’t seem to think he needed any help at all.